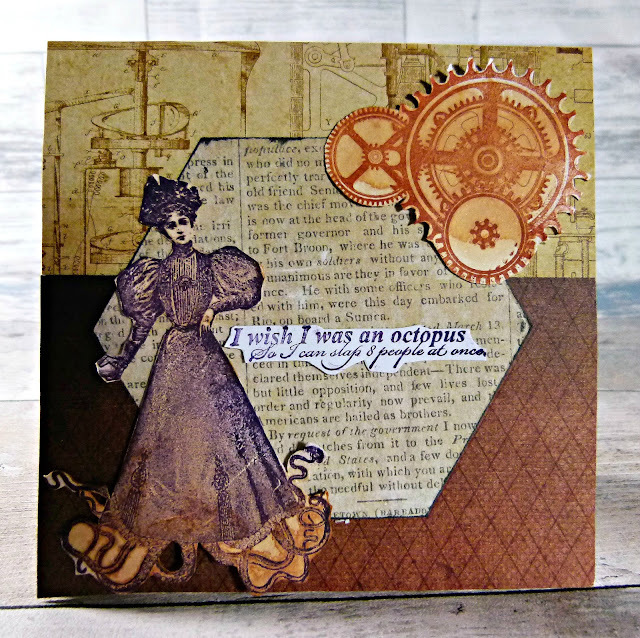 Here I have a steampunk themed card made using the Octopus Time stamp set. 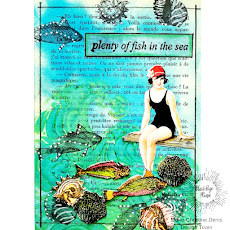 Cover a 6 x 6 blank card with brown paper and the half with patterned paper. Cut out a large hexagon from faux print style paper and glue to center of card. 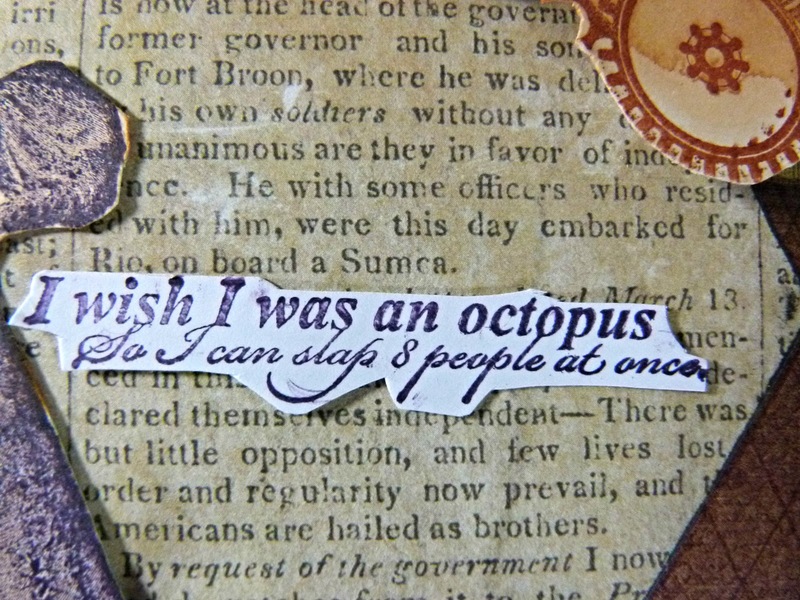 Stamp out the octopus lady onto white card using a purple ink pad. 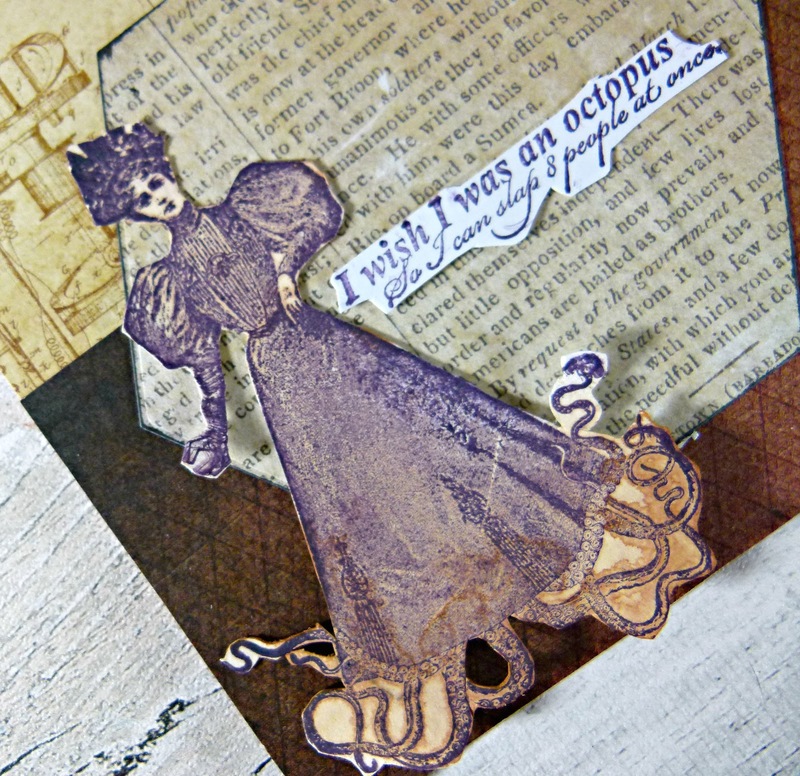 Use sepia coloured ink to colour over the white areas and then adhere to the edge of the hexagon. 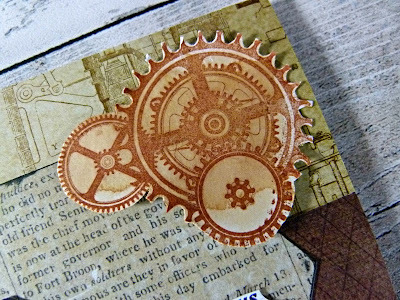 Stamp out the cog cluster onto card and color in before cutting out and adding to the corner of the card. 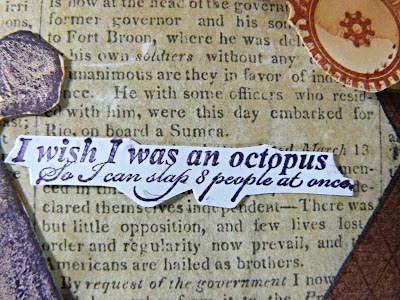 Finish by adding a witty sentiment.